Total No. of Post – 818. Material assistant Post – Bachelor Degree or Diploma in material Management. LDC Post -12th Pass with English typing @35 w.p.m. on computer or Hindi typing @ 30 w.p.m on computer. Steno Grade II Post – 12th pass with Dictation: 10 mts @ 80 w.p.m.Transcription : 50 mts (Eng), 65 mts (Hindi) (on computer). 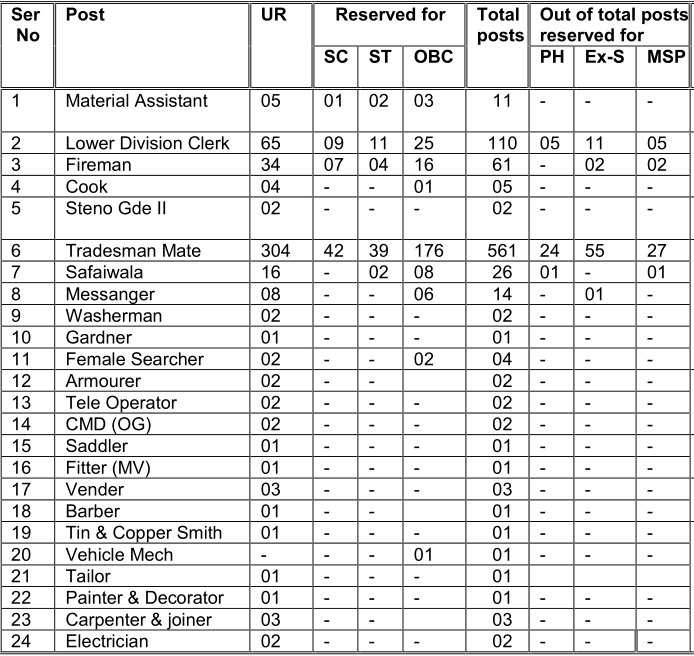 All Other Posts -10th Pass and ITI in Related Trade with 3 years of Experience. 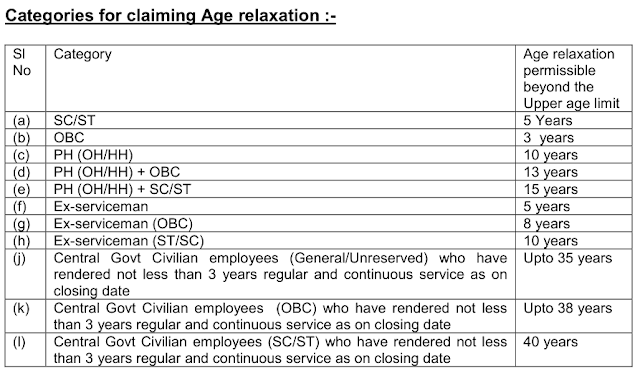 (Only for the post of Material Assistant and CMD (OG) the age limit for General Category Candidate is 18 to 27 years). Height without shoes – 165 cms(A concession of 2.5 for members of schedule tribe). Chest (on expansion) – 85 cms. 3.Select the Desired Post and Proceed for Application form. 4.Fill all the Mandatory details In the Application form Aadhar no. is Requires to fill the Application form. 5. Read all the Instruction Carefully Before filling the Application form. 30-50 kb for Photograph ,Qualification Document and 50-80 kb for ID Document. 7. Take Printout of Your Application for Future Reference. 8.Online Application can be Submitted on or Before 10th January 2018.